They had it all in the first round of the playoffs with upsets, sweeps, seventh games, fighting, suspension, triumph and failure. There was never a boring moment. 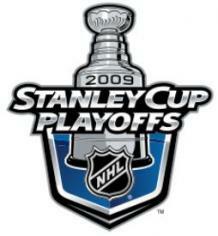 With the NHL quarter finals done and dusted, we can now look forward to the conference semi-finals. What surprises wait this time? The upset : The new President Trophy holders (San Jose Sharks) had another disappointing playoffs and could not muster the Anaheim Ducks. This was by far and wide the biggest upset with the eighth seed beating the first seed convincingly.Big tick for Jonas Hiller. The New Jersey Devils lost a heartbreaker at home in game 7 with the most tightly fought series against the Carolina Hurricanes who scored timely goals to win. This series was the closest of the round. The Vancouver Canucks were far too good for the St. Louis Blues in a mismatch. The Blues had broken their back to make the playoffs and the Canucks cruised in and shut up shop. Thanks to Roberto Luongo. The Boston Bruins are really looking as favourites for the east by smashing the Montreal Canadiens. They didn't get out of second gear and have a lot of hockey left in B town. The What If? : The Chicago Blackhawks were good enough to beat the Calgary Flames. The Flames will be bitterly disappointed as they had a roster to go deep in the playoffs but could not beat the young Hawks. The Pittsburgh Penguins who may have felt threatened by the goal scoring menace the Philadelphia Flyers. Dispatched them in 6. They will feel good as there were no bumps along the way. The Flyers on the other hand have nothing to blame but themselves. Don't be fooled by the Ducks for being an eighth seed after ousting the highly favoured Sharks. This Detroit team has a great balance and Chris Osgood is really proving himself this playoffs. (again) Can the Ducks do what the Dallas Stars did last post season? I don't think so. This will be an intriguing series matchup as there is a lot of speed, skill and goaltending in both teams. The home ice may prove to be the big advantage for the Canucks. The Hawks may outgun the Canucks offense but the masked men in this one will have the final say. This will not be a walk over again for the Bruins. The Canes showed what it takes to beat Martin Brodeur's Devils in the best show of the first round. Now the Bruins stand in their way. The B's look very fearsome and have had the best season that I can remember. Both are balance and are getting great goaltending. I like this series a lot. The coaches will be huge in this one. This is my pick of the series as being the best to watch. The Capitals have surprised everyone by coming back and beating the Rangers (switching goalies to rookie Varlamov) with purely wanting it more. They have a roster full of strength. The Pens are the previous Eastern champions with a core ready to surge back to the final. You will expect a goal fest here as these teams have firepower. Let the best team win!